Practice management software can provide numerous benefits. Having to handle tedious tasks involving scheduling, timekeeping and billing manually can prove to be overwhelming for anyone. Automated systems can help streamline an organization’s workflow. However, every pro has its con, and even practice management automation isn’t entirely infallible. 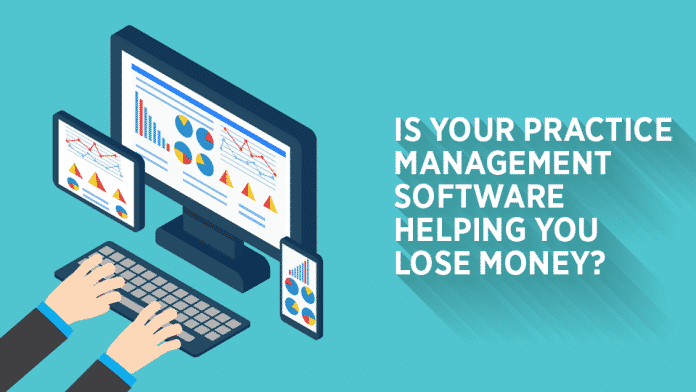 Here are some important factors to consider when implementing practice management software to ensure it isn’t detrimental to your profits. 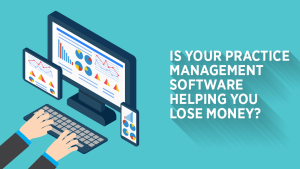 Like most things in life, practice management software isn’t free. It costs money, and that expense can build up over time. Therefore, its important that research is done prior to selecting management software for your practice. Different vendors offer different services. Implementing these services can affect a practice’s productivity by readjusting its workflow. Based on the size or specialty of your practice, you may find that one vendor is better suited to your needs. By carefully evaluating what your needs are and keeping your expectations reasonable, you can avoid unnecessary costs and expenses when implementing management software for your practice. One of the important factors in successful implementation is proper training. Most vendors typically offer onsite or online training. The best method for initial training is onsite training, with online training offered for subsequent and follow-up sessions. Being with a trainer for the initial implementation provides a one-to-one interaction speaking over the phone or Internet does not. It is also in best interest to select a few employees within the practice as ‘super users’ who will be thoroughly trained on all aspects of the system. This way, they can help troubleshoot basic problems easily and reduces the amount of support call fees. Formal and direct instruction on how to manage and handle the software will ensure a better implementation. Not all practice management software will be alike. Applications can have different interfaces and options, and not all of them are at peak functionality. For instance, client server models were once customary but have now given way to cloud based systems. Cloud based systems can provide quicker and easier support. Version upgrades can also be done remotely, alleviating the pain points involved in maintaining security and backups. Assessing the costs and benefits of the functions and features offered can help in selecting a profitable management system for your practice. Electronic management software can deliver increased quality of care to your clientele through automated management tools. This ability to automate client information management, outreach programs and daily procedures provides more efficient and effective care. Improved care and services fosters customer loyalty. If the quality of your services/care is compromised during the implementation and post-implementation of a practice management system, you will consequently see a decrease in revenue. Even though using practice management software is intended to make life easier for a business, selecting one can be a strenuous process. A business should put extra thought into selecting the right management system, given the potential impacts on revenue-generating workflow and productivity. While some practices prefer a paper-based environment, many have successfully been able to implement electronic based management technology. With proper examination of the software options available and your organization’s needs, a cost-effective system is definitely a possibility.